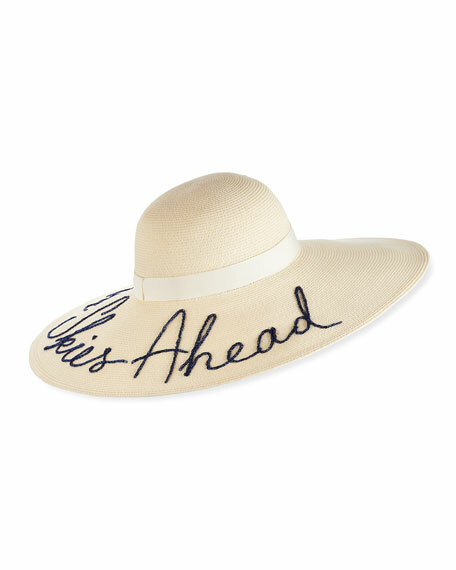 Gladys Tamez "Audrey" straw sun hat. Paisley-print silk satin band with bow. For in-store inquiries, use sku #2117026. 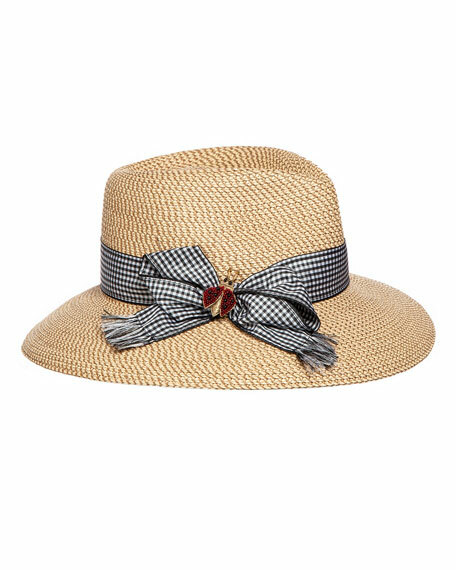 Eric Javits woven fedora with lady bug brooch at hat break. 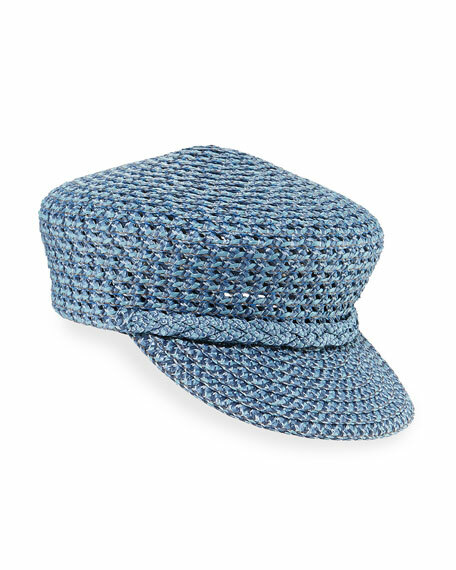 Gingham hat band and bow with fringe ends. Provides maximum sun protection for the face and neck. Pinched crown. 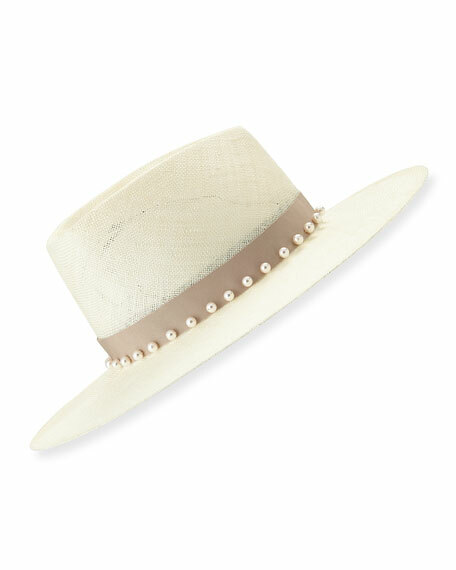 3.5"W brim. Polypropylene/polyester. USA.